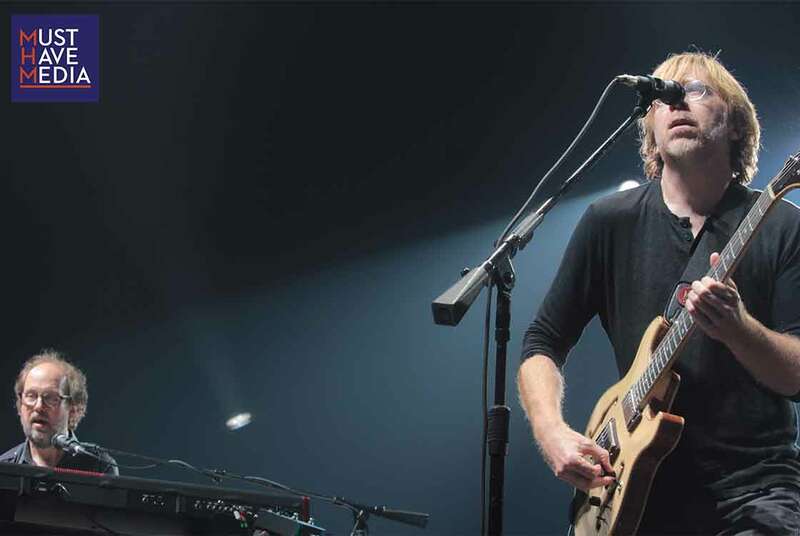 On Monday, Phish returned to San Francisco for the first of three shows at the Bill Graham Civic Auditorium after skipping over the Bay Area hub last year for a single night at Shoreline Amphitheatre in Mountain View. Monday night,m there was zero disconnect among band members. 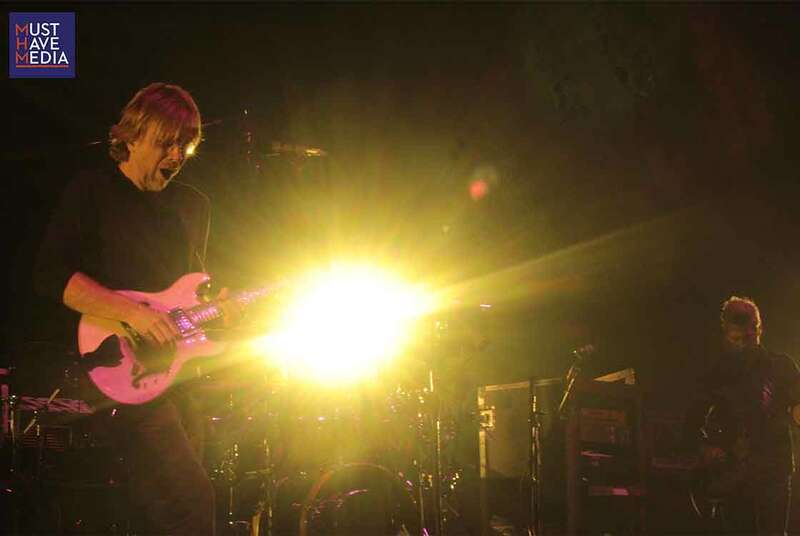 The set list was heavy on their oldest favorites, while still including tracks from nine different studio albums since 1986’s The White Tape. 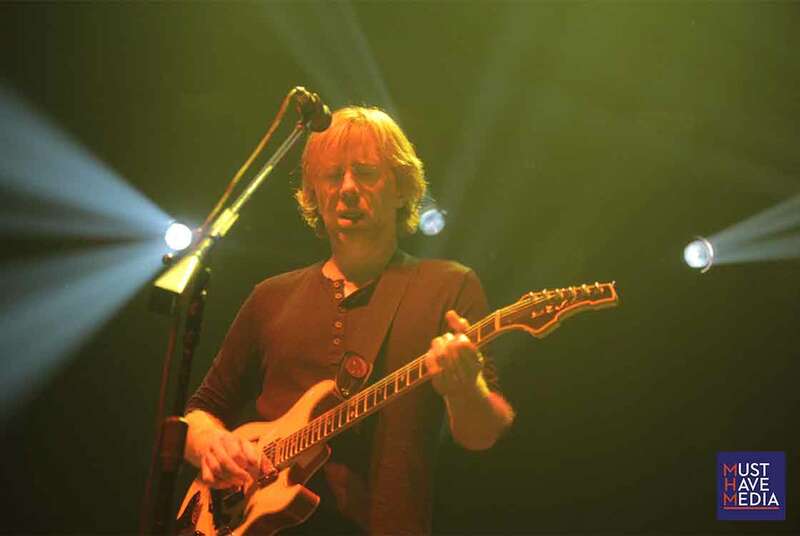 It was clear from the first transmissions from the opening track “Martian Monster,” which saw its 13th play since debuting on the 2014 Halloween run, that Phish was ready to bring the heat to San Francisco. “Halley’s Comet” transitioned into “46 Days,” followed by a stand-alone “Sugar Shack:” all from different records spanning several decades, yet played with vigor and concentration as if they were new. 1987’s The Story of the Ghost was revisited twice, once in each set, beginning with “Roggae” in the first. 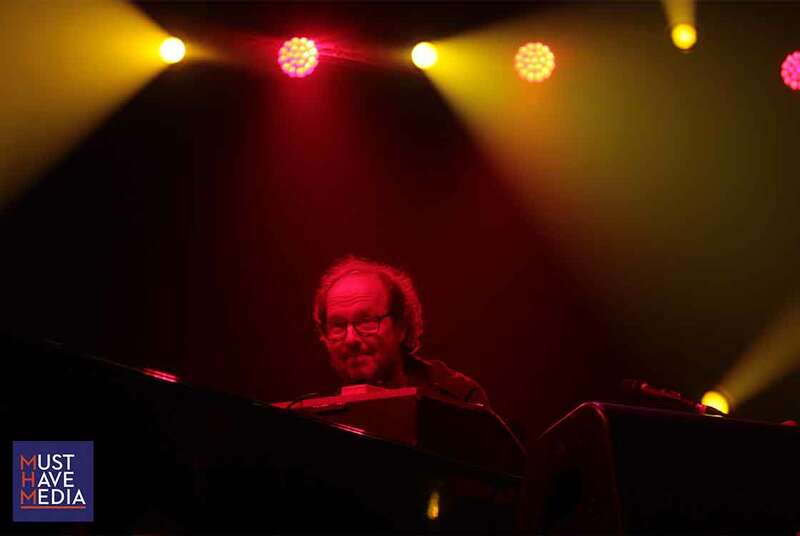 “Roggae” featured a lengthy and brightly-punctuated jazz jam that saw Anastasio and keyboardist Page McConnell going at full speed between notes. 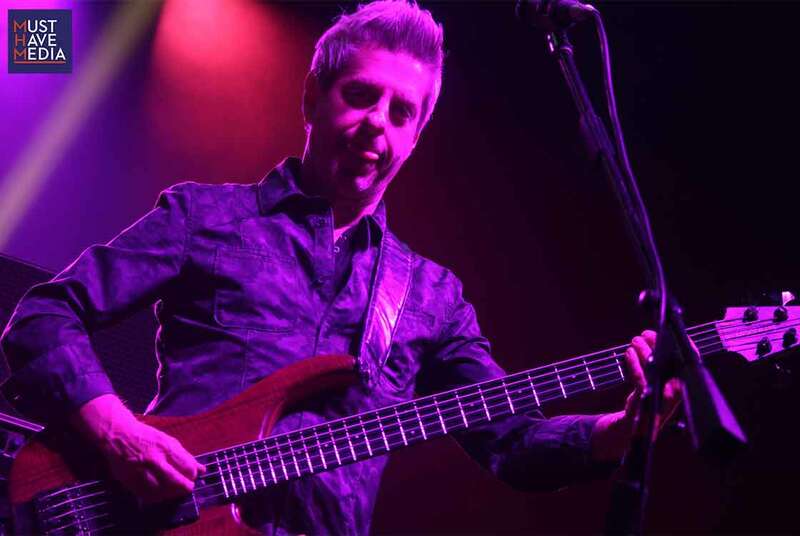 A popular stepping stone of advice that veteran Phans pass along is to simply “surrender to the flow.” On the surface, the jumbled intricacies of a jam such as featured in “Roggae” can come off as, well, bad — unlistenable, even. But once the decision to surrender is made and hips start to sway, the rhythm peeks out until it become obvious that it was you that was hiding from the music all along. 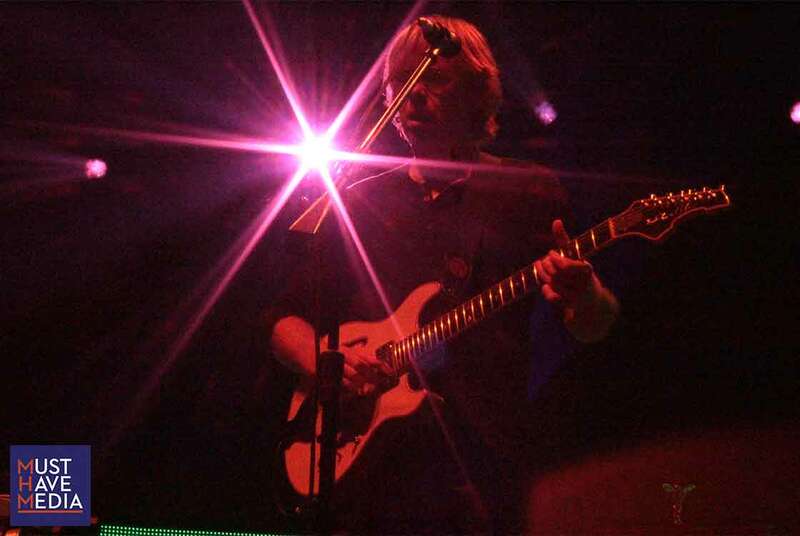 It’s not for everybody, but everybody can have fun at a Phish show. 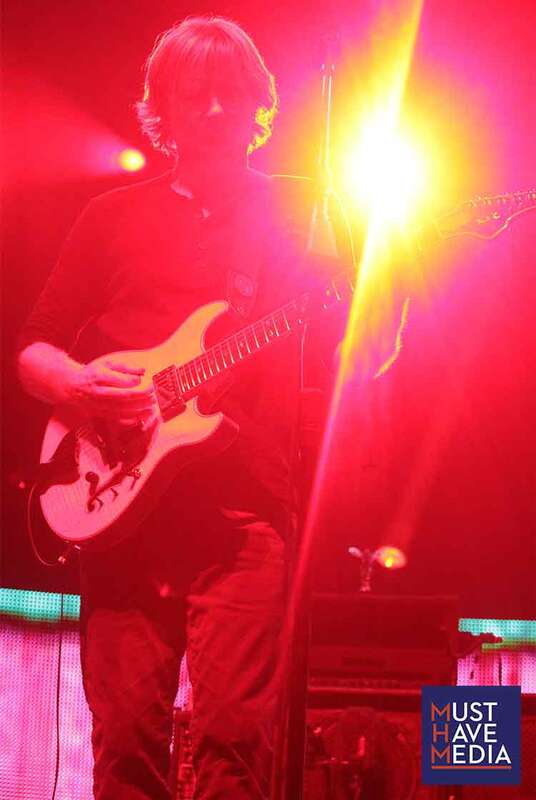 Kicking off the jam section, Anastasio led a solo melody before the band froze in place for several minutes. The crowd, who up until this point was largely distracted from the small nuances that fan the flame between band and crowd interaction, attempted to cheer them out of place. The band remained frozen long enough to give the crowd several long-winded attempts before picking up on Anastasio’s melody and diving into a Red Hot Chili Peppers-inspired jam. “Ya Mar” was special in that the boys decided to switch things up. 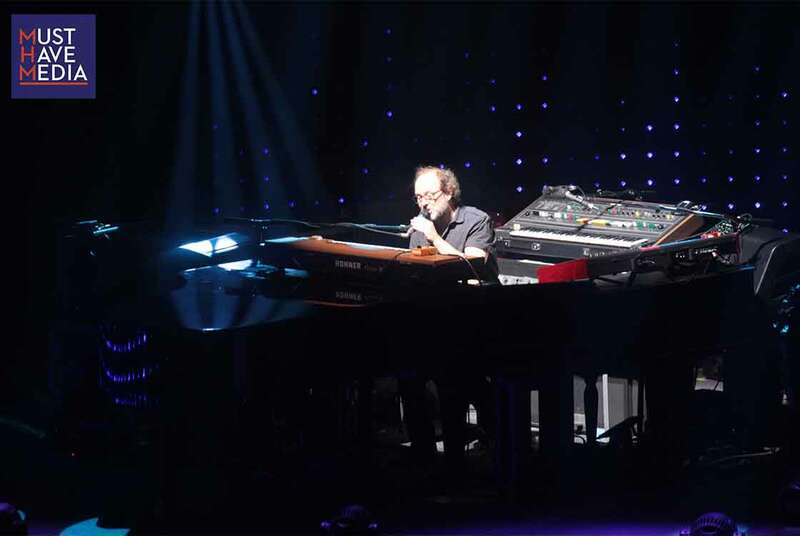 Fishman stayed on his drum kit, but was assisted by Anastasio on the marimba lumina after handing over his guitar to Gordon as McConnell crossed the stage to pick up Gordon's bass guitar. 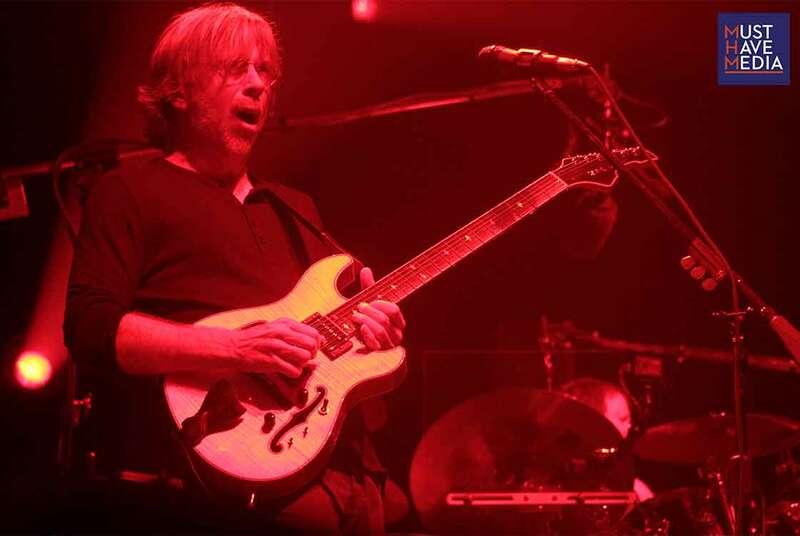 It was out of the ordinary and completely spur of the moment, evidenced by Gordon's minimalist playing and his perceived reaction to the hot fuego of Big Red's guitar tone. 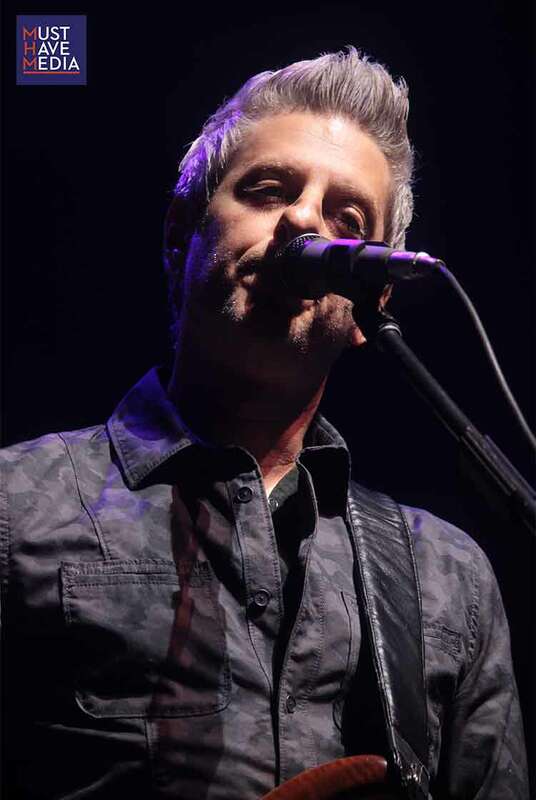 The closed following a simple snare beat that fans immediately recognized as "Possum," one of the band's oldest songs. 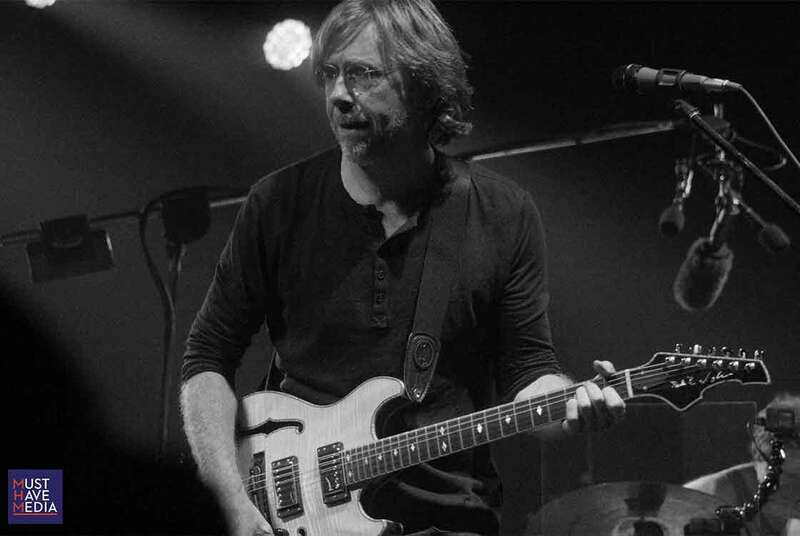 Super twangy and almost country led to a Creedance Clearwater Revival style guitar solo from Anastasio before lighting designer Chris Kuroda and McConnell teamed up for a seriously sinister peak before ending the set at 9:30. 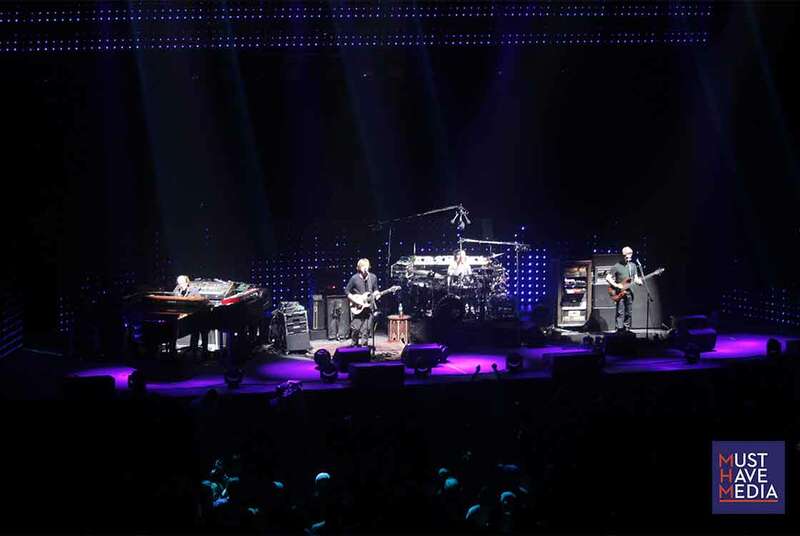 35 minutes passed before the lights went down again, and Phish returned to the stage opening with an '80s pop-synth vibe of "Golden Age," complete with the black-and-white checker pattern to drive the '80s theme home. 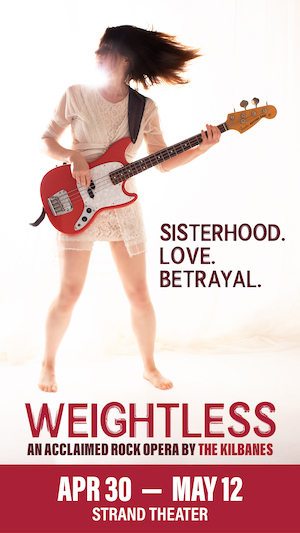 Eventually it built up into a heavy ascending jam before the sound disintegrated from the inside out and segued into "Twist," an older tune that does not get much play recently. 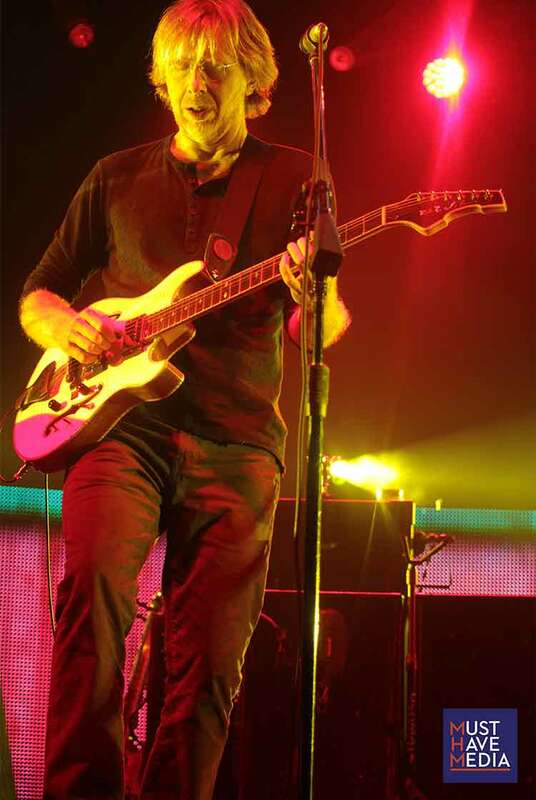 A very short "My Sweet One" punctuated the space between "Twist" and the newer song, "The Line," a 2013 Halloween debut. 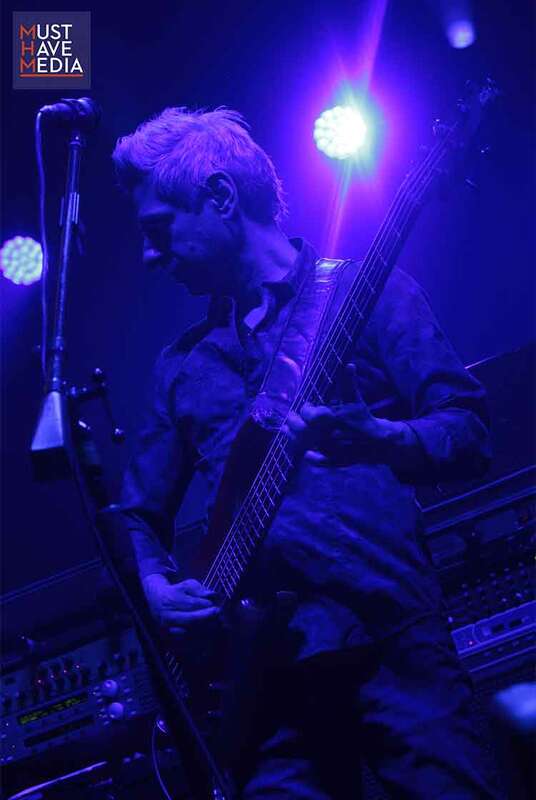 Whether they are practicing a four-part barber shop quartet vocal section or even if it is just Gordon holding an undulating beat box vox line in addition to his intricate bass lines, one thing is for sure: Gordo has a nose for lines of all kinds, especially the "Simple" variety. 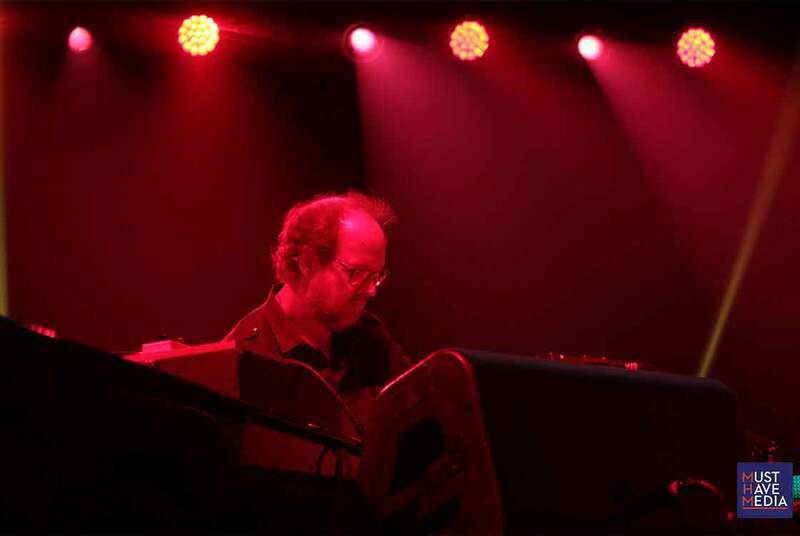 Before transitioning into the incredibly funky bass line to "Simple," the band had a dark, otherworldly theme building, but Anastasio had other plans and called for abandoning the jam. A 17 minute "Sneakin' Sally Through The Alley" was most likely what Anastasio was eager to get to. Making its first appearance in 29 shows (almost a full year), "Sneakin' Sally" gets through the alley maybe twice a year. 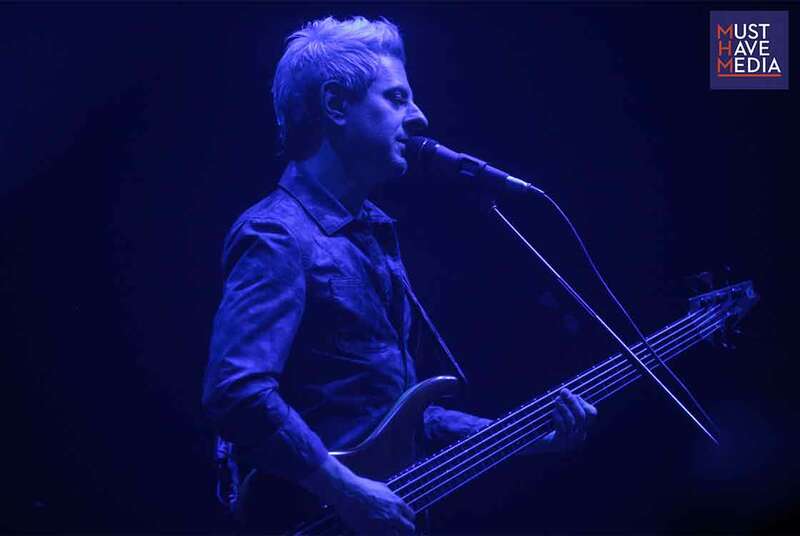 Featuring a quintessential example of a Phish jam, this tune saw each member painting around each other with sound. 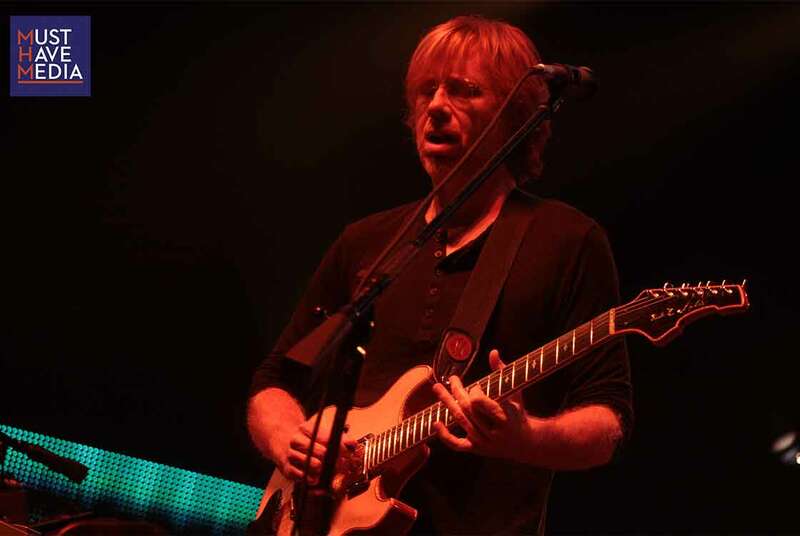 McConnell positioned his layered key sounds as a canvas cushion for the band to bounce off of before ending with a neat vocal routine into "Limb By Limb," complete with Anastasio trading roles with McConnell and taking over the layerd bottom end while maintaining a bright lead melody. 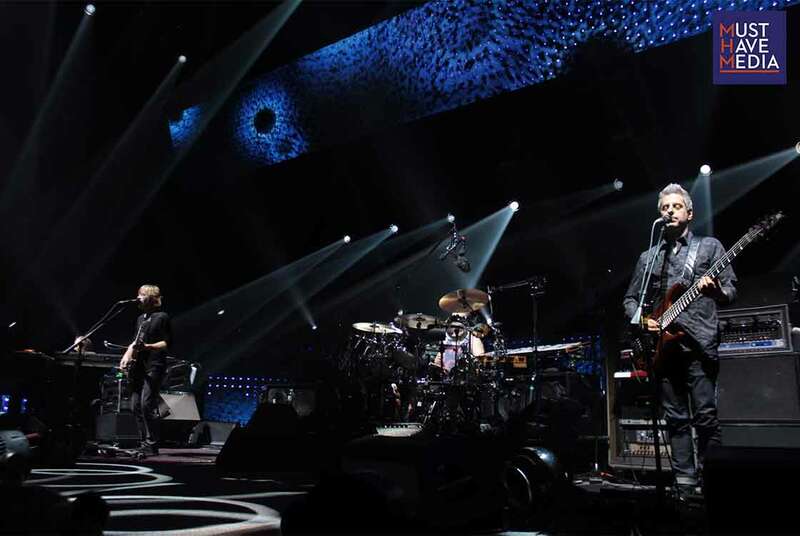 Returning to their first release, The White Tape, (one of many Beatles-related gags throughout the band's history), Phish closed their second set with an 11 minute "Slave To The Traffic Light." 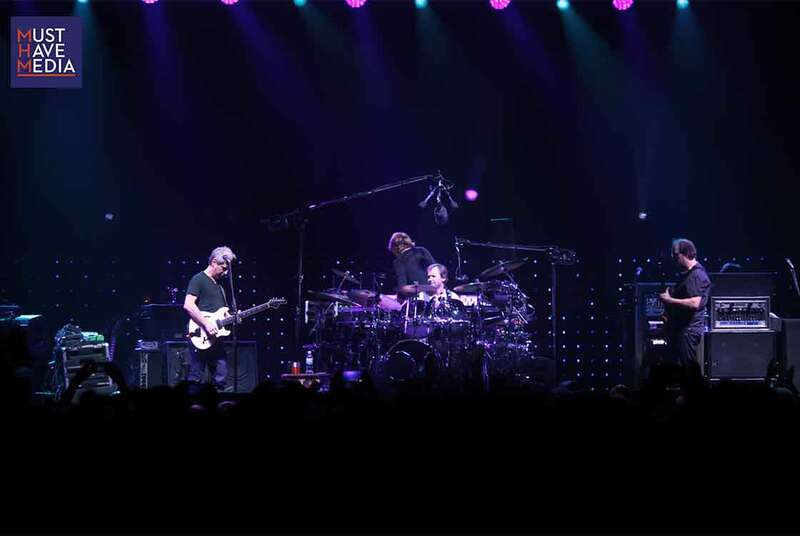 Following the thunderous applause, the four band mates spent most of their encore bowing, waving, and making direct contact with individual fans along the front rail. They walked off, and moments later returned ready to close the first night proper. 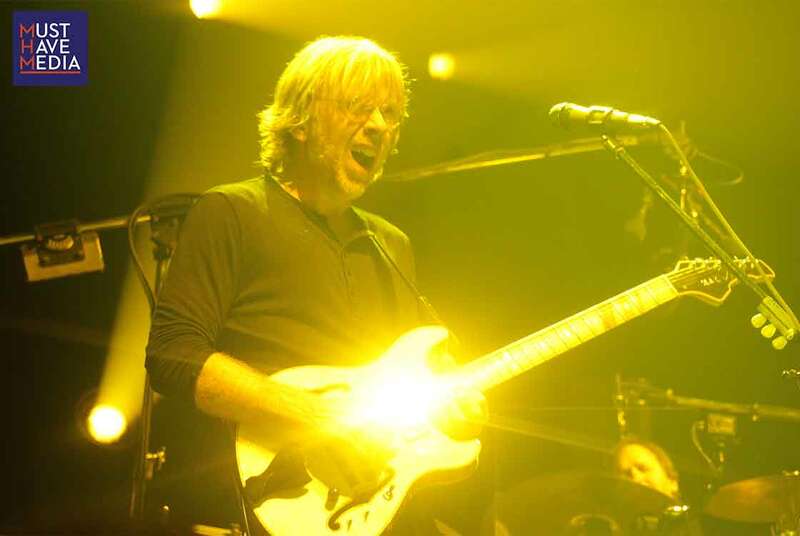 The encore started off with an appropriate choice of "When The Circus Comes" and ended with one of Phish's most popular songs, "Run Like An Antelope." A perfect depiction of what it's like when Phish comes to town, the downtown environment of the BGCA was most definitely a circus that will continue to grow. And just like the circus, you'll never know what or who you will find. Fine art print maker Marq Spusta has been taking to Instagram to hide unreleased pieces of his creature collection at random inside the auditorium. John Mayer was also spotted and confirmed in attendance last night, obviously continuing his education that began when he picked up the guitar for Dead & Company. Giveaway: OIM Volume II Release Party, Night 2!